A high solids, rust-inhibitive, interior-exterior alkyd primer for use on ferrous and non-ferrous metal including galvanized metal and aluminum. Ideal for structural steel, tank exteriors, piping and equipment. 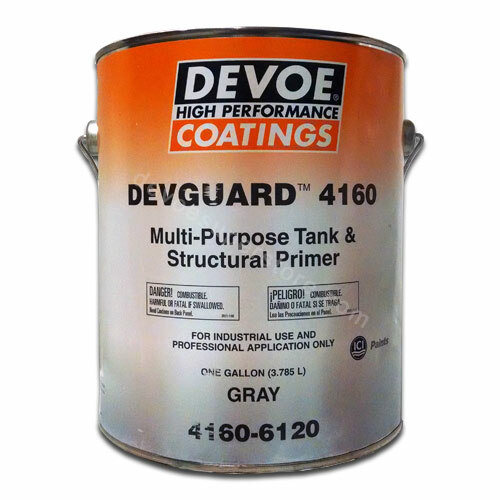 Excellent for use as a barrier coat when applied over sound aged oil or alkyd finishes which are to be topcoated with heavy-duty coating..
A high solids, rust-inhibitive, interior-exterior alkyd primer for use on ferrous and non-ferrous metal including galvanized metal and aluminum. Ideal for structural steel, tank exteriors, piping and equipment. Excellent for use as a barrier coat when applied over sound aged oil or alkyd finishes which are to be topcoated with heavy-duty coatings. This product has exceptional resistance to exterior weathering, making it suitable for use as a shop primer. May be topcoated on ferrous metal with epoxy and urethane coatings as well as conventional alkyd and latex products.